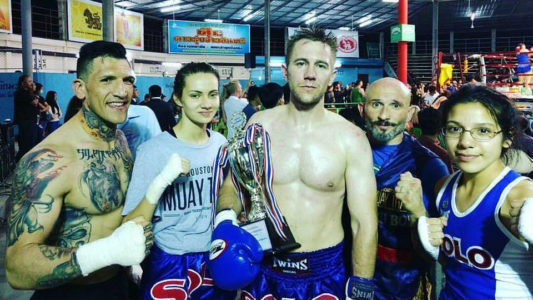 Four members of Houston Muay Thai traveled to Chiang Mai, Thailand to take part in One Night In Chiang Mai: USA vs Thailand. The team went 3-1, including 2 knockouts. Bekah Irwin won a decision, Valerie Sanchez lost a decision, and Jacob Rodriguez and Michael Corley both won via 2nd round KO’s. Here are videos of Jacob and Michael’s knockout wins.